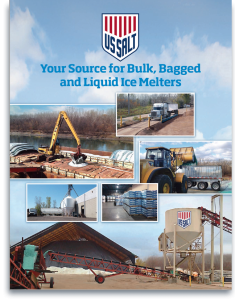 With main headquarters in Burnsville, Minnesota, and additional stockpiles of bulk de-icing salt products in South St. Paul, U.S. Salt is your convenient and dependable source for bulk, bagged and liquid ice melters in the greater Twin Cities metro region. 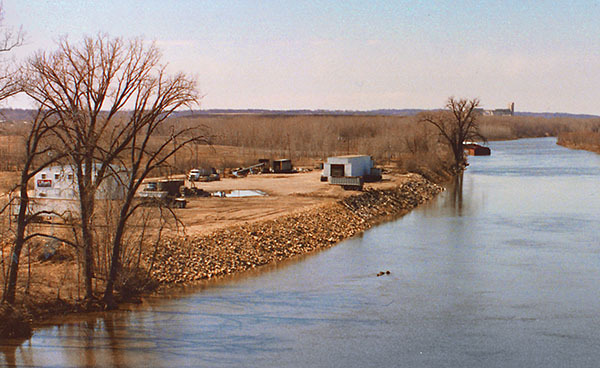 We can also provide trans-loading services for your own bulk granular products via river barge, truck or railcar. 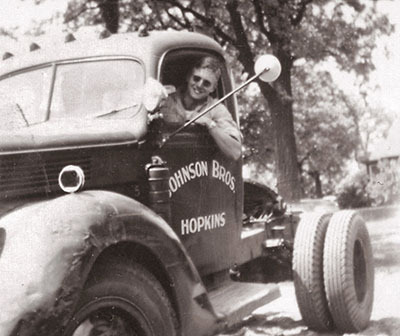 Founded in 1951, Richard Johnson is shown here operating one of his first delivery trucks. 1955 – U.S. Salt puts its first hopper salt truck into service picking up product from Duluth, MN. 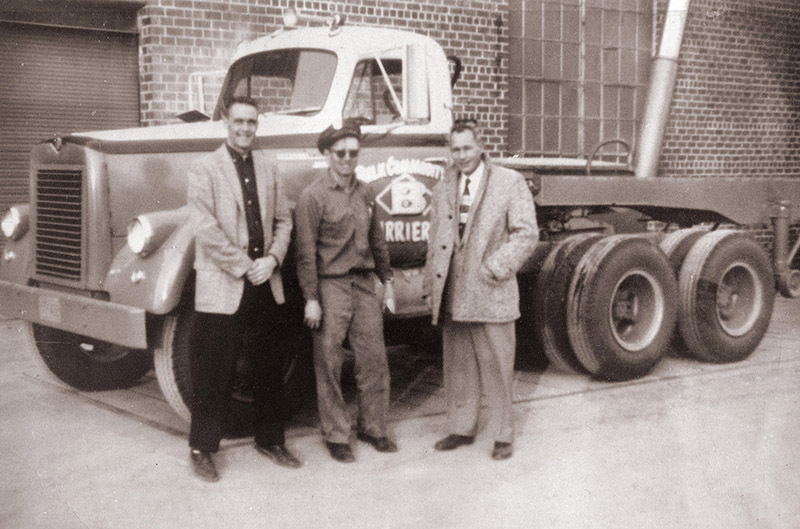 1958 – Pictured in the middle is Richard Johnson with one of his ten delivery trucks. 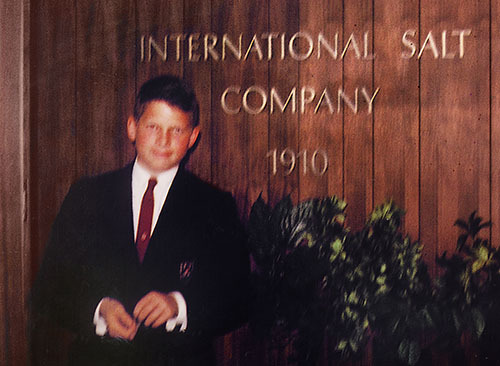 1965 – Tom Johnson at the age of 13 accompanied his father on a business trip to International Salt Company. 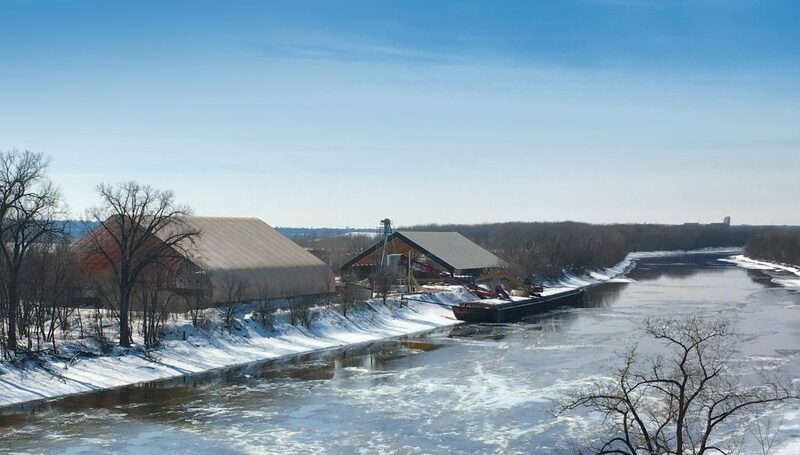 1978 – Tom Johnson takes over the family operation of U.S. Salt-Johnson Enterprises, Inc.
1980 – U.S. Salt begins development of a barge unloading facility on the Minnesota River Mile Marker 11.1. 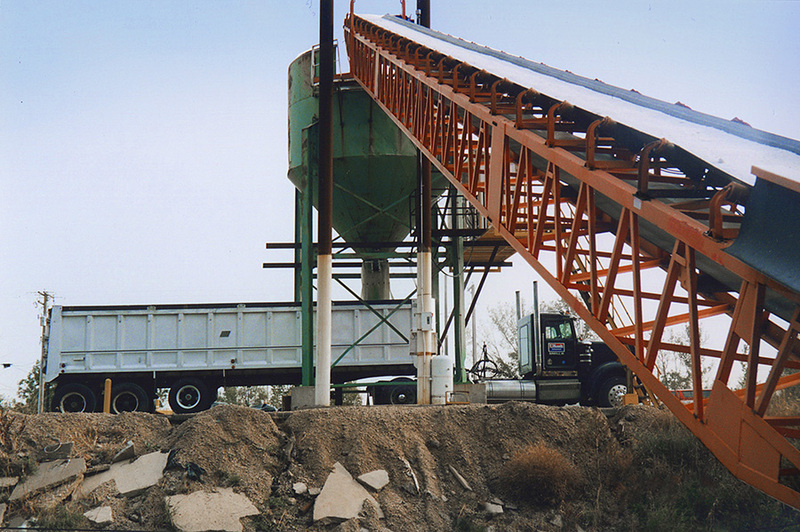 1997 – U.S. Salt builds a direct trans-load system for loading end dump trucks. This system allows trucks to be loaded in 45 seconds from start to finish. 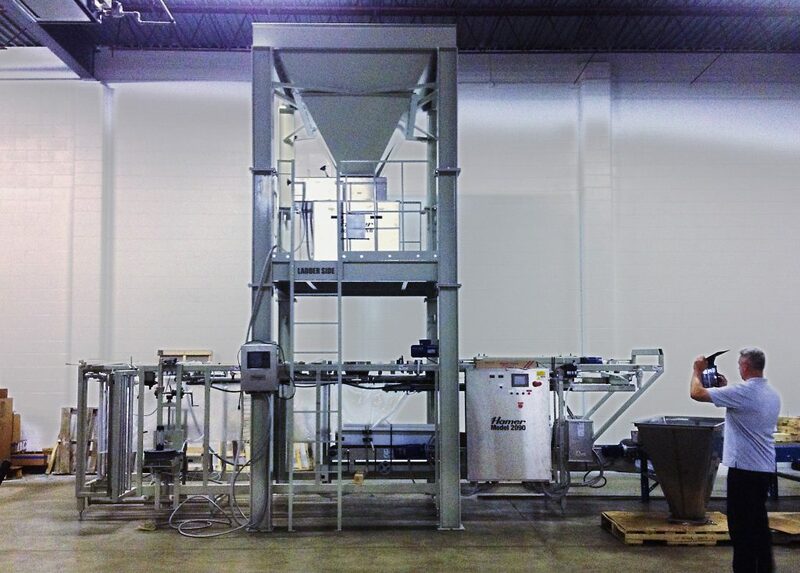 2015 – U.S. Salt opens a bagging facility in Bloomington, MN. This facility has two high speed bagging lines and an automated jug filling line for producing various types of salt products. 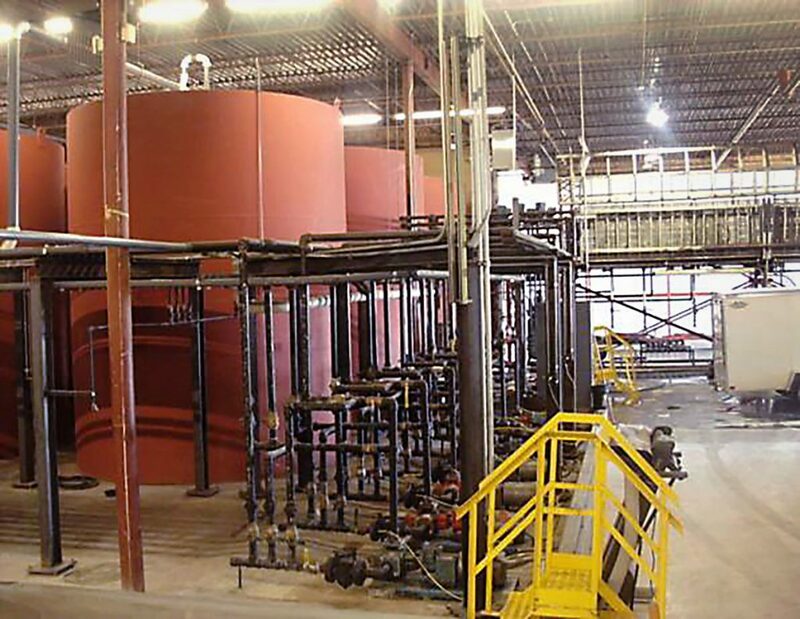 2017 – U.S. Salt acquires Green Touch Systems and opens a Liquid Tank Farm with over 270,000 gallons of indoor storage for blending, storing and producing liquid ice melters. 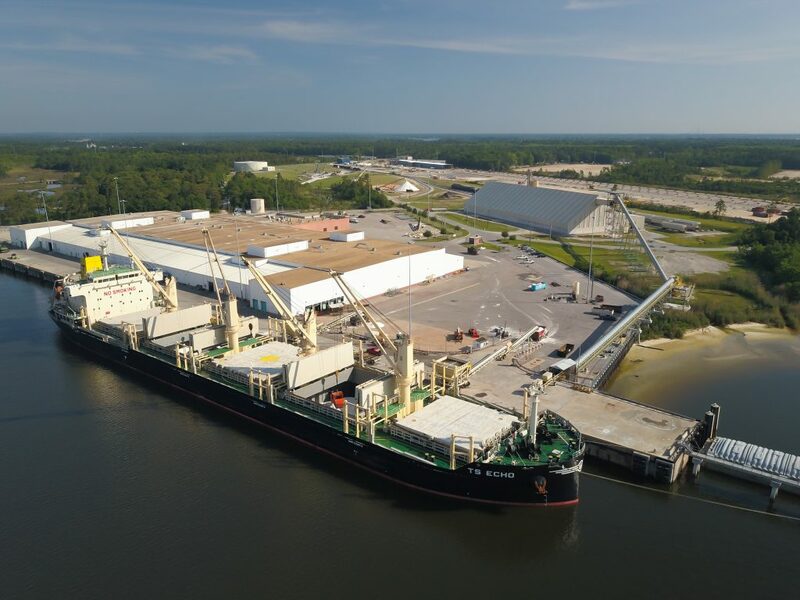 2018 – U.S. Salt opens a gulf coast facility that processes, screens, and dries various types of salt for shipment into the domestic U.S. This facility offers a consistent and manageable option for supply chain management, shipping via via barge, rail and truck. 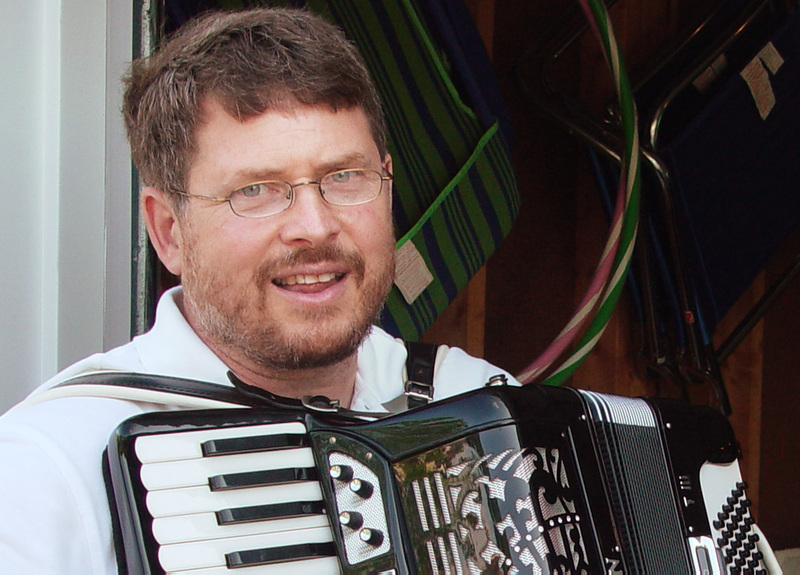 Today – With over 67 years of business under our belt, we continue to provide quality products and services to our most valued asset – OUR CUSTOMERS!